Think you know the original Batmobile? Think again. 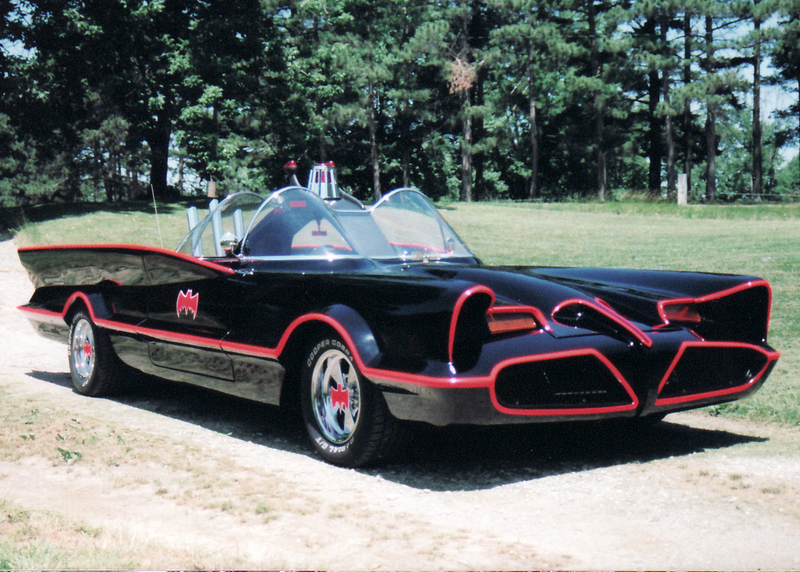 While a few cognoscenti know the car was built by the legendary George Barris, who modded the Lincoln Futura concept car, most fans will tell you the very first Batmobile made its debut in the 1966 television show. It didn't. This is the real original Batmobile. Built in 1963 in a friggin' barn, it's a '56 Oldsmobile 88 with a body fashioned after the 1950s comic book Batmobiles. It's the very first car DC Comics ever licensed, and it's for sale, hitting the auction block with Heritage Auctions in December. The first thing you need to know is that it's huge—over 17 feet long. It also features doors that slide into the bodywork, almost like those of a Kaiser Darrin, but in reverse. Notice the gigantic fin, incredibly large even by 1950s standards. The only reason the car exists in the first place is because a 23-year-old named Forrest Robinson wanted something awesome to cruise around in. Apparently he had a lot of time on his hands, because he constructed the whole thing in the family barn. And cruise around he did, though there's no word on whether or not he donned a cape. Eventually, the local press ran a photo of the car, and it became a legend. It was such a wildly popular phenomenon that DC Comics caught wind of it and leased the car for a few years, using it to gain publicity before the other "original" Batmobile was fully built. By the time they gave it back to Forrest, he sold it to start his own business...for $200, not even enough to buy a LEGO Batmobile today. Ultimately, the car sat for a few decades in a field before being discovered and restored to its former glory. Forrest Robinson: fantastic car constructer and designer, lousy investor. Aaron Miller is the Rides editor for Supercompressor, and can be found on Twitter. If he were Forrest Robinson's grandson, he'd be pissed.